Turkey’s direct support for terrorists fighting in Syria makes them President Recep Tayyip Erdogan’s own army, Syrian President Bashar Assad said in an exclusive interview with Sputnik, adding that his country is ready to counter the aggression. Turkey, as well as Saudi Arabia, have "crossed all possible red lines, possibly from the first weeks of the Syrian war," Assad said. "Today, the war against Erdogan and against Saudi Arabia is a war against terrorists. The Turkish army, which is not even Turkish, is Erdogan's army that is fighting today in Syria," he added. Everything that Ankara and Riyadh “have done from the very beginning can be considered aggression. Aggression in a political sense or in a military sense – providing terrorists with arms – or direct aggression with the use of artillery, and other military violations," he stressed. Erdogan is directly supporting the terrorists as “he allows them to move into Turkish territory, to carry out maneuvers with tanks,” the Syrian president said. “This concerns not only individuals, he finances them [terrorists] through Saudi Arabia and Qatar, and through Turkey itself, of course,” he said. According to the President, countermeasures to Turkey's aggressive actions must first of all take place within Syrian territory. Successful strikes against terrorists in the country will lead to the failure of policies pursued by Turkey’s president, Recep Tayyip Erdogan, he added. 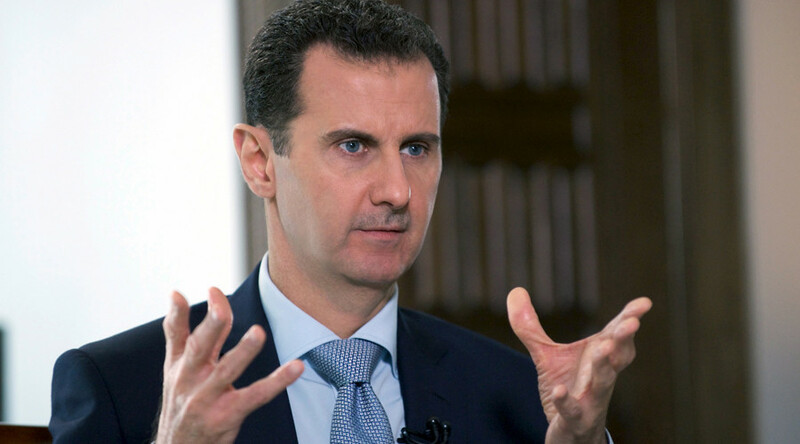 "They are terrorists and when we attack these terrorists in Syria, this leads to Erdogan's direct defeat," Assad said. However, Assad stressed that there was no dispute between the peoples of Syria and Turkey. The relations between the two countries will be “good” if Erdogan stops interfering in Syrian affairs, he explained. During the interview, Assad also expressed readiness to call an early presidential election in Syria if the people desire one. "This depends on the Syrian people’s stance, on whether there is a popular will to hold early presidential elections. If there is such a will, this is not a problem for me. It is natural to respond to the will of the people and not to that of certain opposition forces,” he said. “The president cannot work without the people’s support,” the Syrian leader added. If the election takes place, every Syrian citizen, including those who left because of war, should be able to take part in the voting, he said. 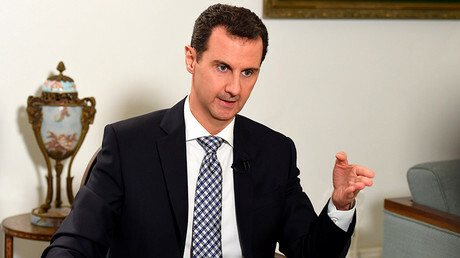 “This issue concerns every Syrian citizen because every citizen votes for the president," Assad stressed. Assad also recalled his surprise visit to Moscow last autumn, which came less than two weeks after Russia began its bombing campaign against the terrorists in Syria on September 30, 2015. "That visit was made under special circumstances,” he said, adding that no documents were signed during his meeting with Russian President Vladimir Putin. The talks in the Russian capital mainly revolved around two issues: “Firstly, the military operation, which had begun at the time, and as a consequence, the need to strike a blow at terrorism. Secondly, we focused on how we could use the military operation to support the political process,” the Syrian president told Sputnik.